Lots of people my age look forward to the Sudoku in their daily newspaper. Some older people swear that it is a memory aid, for sharpening or maintaining memory that may be faltering. For some people it works. For others, well…let’s just say it’s hard to complete a puzzle when you can’t find the pencil that was just next to the paper a moment ago. These are not the reasons I play Sudoku every day–or at least every day I get a newspaper (no Sunday papers here on The Island). I play Sudoku to test my logic–and what effect my medications are having on me. But mostly it’s the logic aspect. Some puzzles–ones that give no logical clues to a mass of “pencil marks” so that only trial and error with educated guesses can help solve the puzzle, or let me know that a different educated guess should be attempted–are ones I solve only when I have hours with nothing to do, a luxury I rarely have. For some of the solutions, a pattern emerges if I leave the puzzle alone for a day or two. Others are so convoluted that a “guess” has to be made 5 or more times, meaning that all the erasures have worn holes in the newspaper and the original puzzle needs to be transcribed into my Sudoku Excel template so I can erase to my heart’s content on “real paper.” However, most puzzles with high difficulty ratings are quite orderly and can be worked with only a little bit of educated guessing. 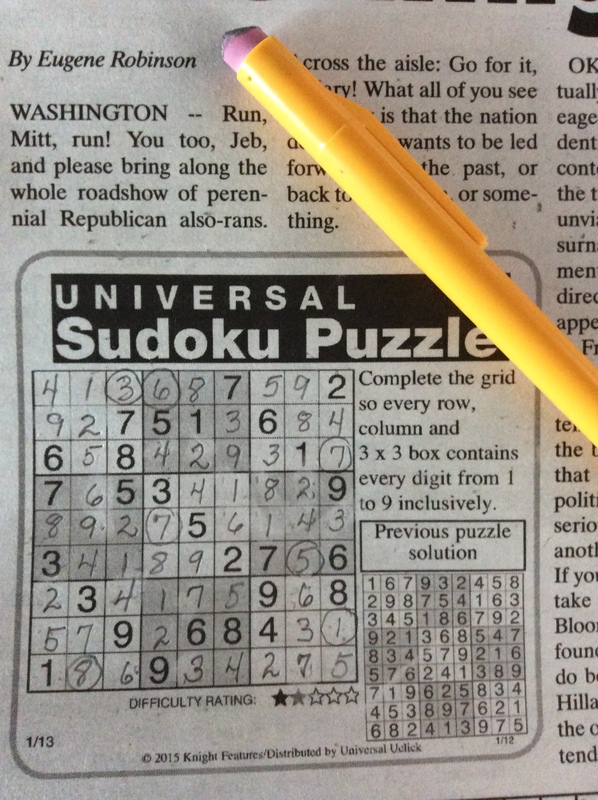 In the newspaper, the Sudokus progress in difficulty from “Easy” on Monday to “Difficult/Hard” on Fridays. Saturday puzzles are always rated “Difficult,” but, as I stated above, often involve more guessing than logic. So, for me, it’s the Monday through Friday puzzles that are both enjoyable and tests of my current logic abilities. Why test my logic? Because I take a pharmacopia of daily medications. There are pain relievers, cholesterol controllers, blood pressure equalizers, muscle relaxants, and–for when life is driving me crazy or I simply can’t get to sleep–tranquilizers or other prescription sleep aids. And then there”s the medication to protect my stomach lining. I used to take OTC or prescription-strength versions of pain relievers, but a “surprise case” of bleeding ulcers put a stop to that. So now my mobility is severely limited by the amount of pain I feel, and that means that by 3:00 PM, my spine decides it’s time for more curvature, which increases as the clock progresses and prevents me from standing for more than two or three minutes. It’s no fun looking like a question mark without a period underneath. But pain has nothing to do with logic unless it’s overwhelming. However, some of the other medications do affect my thinking processes, even after the “getting used to” period has long passed. And these are the ones whose effects on me I monitor like crazy. All medications that effect the nervous system–including many medications to reduce pain–affect how the brain functions. If, a week or two after starting a new or replacement medication, I find that my memory is worse than usual, I visit my doctor and insist on something different. Take Lyrica, for example.You see the advertisements for it all the time on TV for use in preventing or easing the pain of diabetic neuropathy. It had been prescribed in the past (long before it became the pain reliever for people with diabetes) as an outright pain control medication for anyone, and continues to be recommended by pain management specialists, especially to help patients get past pain to sleep at night. The commercials give a long list of possible side effects–except for what I consider the most important one: they affect memory, and worse, the effect may be permanent. 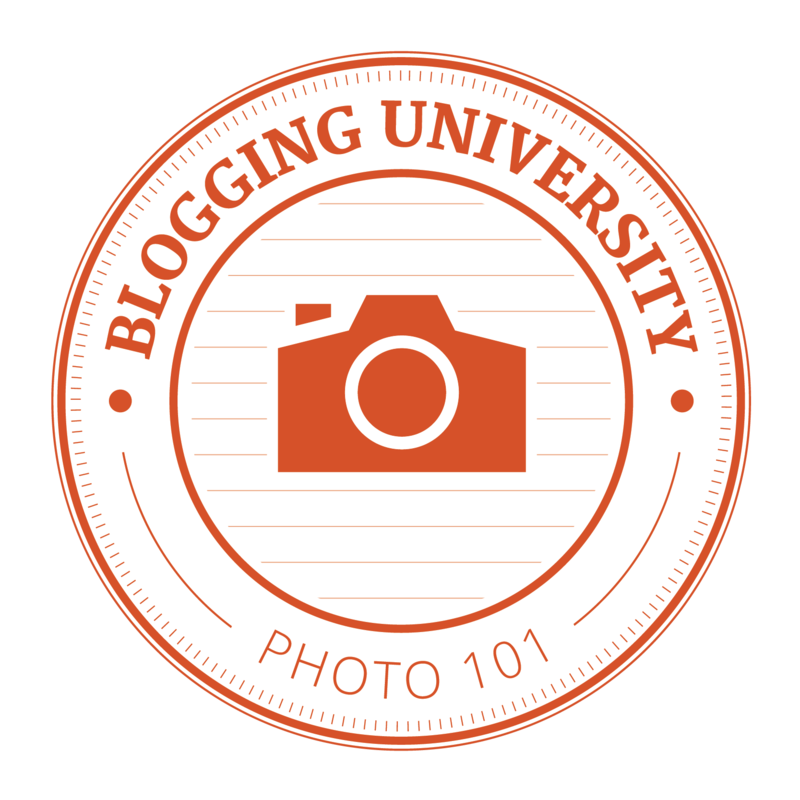 When I was taking it, I realize that it wasn’t just that I was forgetting while under its influence; it was that the lost memories were not recoverable, unlike with most other memory-effecting pain relievers. Think of this as getting so completely drunk at a party that you can’t remember what you did that was so entertaining to others at the party. After a while, your memory of some of your insane activities comes back, and you become so embarrassed that you can’t look other party participants in the eyes for quite a while. While taking Lyrica, my memory of events never comes back. It’s like those memories have been sucked into a black hole. My husband and friends would report that I am acting perfectly normally–going about daily routines, driving, etc; things that are in “muscle memory”–but I have no memory of having lived those days. Ever. And I suspect that there may be a permanent effect on certain memory functions for which, if the patient is not aware of this little publicized side-effect, a decent work-around cannot be developed. A patient needs to be aware of memory loss before reporting it, after all. The brain is a marvelous organ. There is no such thing as a single “pathway” to things that have been learned, behaviors one has acquired, etc. The brain basically distributes information in such a way that, even if it takes a little longer to recall a memory, that memory can still be accessed. But some drugs seem to build a titanium wall around memories accumulated under their influence, and no amount of soul or mind searching ever breaks through that barrier. If one goes to web sites such as WebMD or even CDC, many “nerve” medications list memory loss as a possible side-effect. What they can’t tell you is if you will be one of the persons affected with memory loss, especially permanent loss. Each individual has slight variations in reactions to any medication; some individuals have significant problems. The information these sites give you is the “normal” reaction, and “normal” has enough variations to stud the night sky with galaxies of stars. “Normal” refers to how the middle 67% of the population of patients (or individuals who participated in the clinical trials, anyway) reacts or reacted. Unfortunately, physicians often do not report variations that are not listed, so unusual variations that did not turn up in clinical trials may never be listed–unless some medical researcher specifically looks for a specific side-effect after the drug has been FDA approved and is on the market. For example, it took the medical profession years to discover that, although benzodiazepines had become a drug of abuse, one-third of the people who take them never develop a dependency on them. And then there are the dosage variations: patient size is also not necessarily an indicator of the proper dose for the prescribed purpose. Dependency means the patient cannot function without them, and often means an increased dosage is eventually needed to obtain the original effect. Patients with dependency do not forget to take their prescribed meds–ever. I am a good example of a person who does not become dependent on benzos. Also, I start forgetting to take the benzo within 10 days, and remember that they were prescribed only when I become overwhelmed or anxious. By then, I can’t find them, as I have a somewhat unique filing system for my medications. Even when I organize my daily meds into those little pill organizers they sell at the drug store, and then run out and can’t get to the doctor for a refill prescription, it might take me ages to remember I am supposed to have them on hand. A person with a benzo dependency would never forget to get that refill prescription written. But what I learned from all the various meds–including every blasted anti-depressant on the market–is that they affect the nervous system, especially the brain, and (in my case) logical thinking. So I monitor my logic daily with Sudoku. If I can’t solve a Monday through Friday puzzle, I start experimenting with which drug (or combination) is responsible, and then go to my physician with my findings. Because doctors are naturally skeptical of patients’ self-accounts, I first discuss my “findings” with my husband (sometimes,when a physician doesn’t believe me, I ask him to come with me). My husband is a neuropharmacologist—that is, a scientist who studies the effects of drugs on the nervous system, especially the brain. He has also spent his entire career teaching medical students, and actually keeps up with what’s new in the field. He loves being married to me because I seem to have paradoxical effects to most of my prescribed medications. Thus, give me a low dose of benzos and my energy level skyrockets; give me much larger doses and I just might exhibit the intended effects. I’ve been used as an example of paradoxical effects in too many of his lectures to count–at least I’m useful to him, and he starts researching studies in which others react as I do. Bottom line: Sudoku is my friend–and a very useful one at that.